Driver is a Hollywood stuntman who moonlights as a getaway driver for criminals. Thing go awry when a new acquaintance is drawn into one last job. Director Nicolas Winding Refn offers a stylish, moody film with substance based on James Sallis novel. Drive has subtlety and great acting performances to match, it’s a simply must see crime drama. Hossein Amini dialogue carries weight, with a few twists and turns, the locations ooze atmosphere and the music and Cliff Martinez score add to the nighttime atmospherics. Ryan Gosling’s Driver with an icy exterior, who later warms up to his neighbour and her son shines throughout in amongst the likes of affable motormouth Shannon (Bryan Cranston), hard man Nino (excellent Ron Perlman), Oscar Isaac’s Standard Gabriel and Albert Brooks’ surprisingly dangerous character Bernie Rose. It’s not a fast and furious action film, it’s more of a smouldering poignant gangster movie with moments of calm and graphic violence. It echoes films like Heat, Taxi Driver with some To Live and Die in L.A. Refn’s direction is on point, performances by the ensemble cast, visuals and stunt sequences are excellent and grounded aided by some slick editing from Mat Newman. 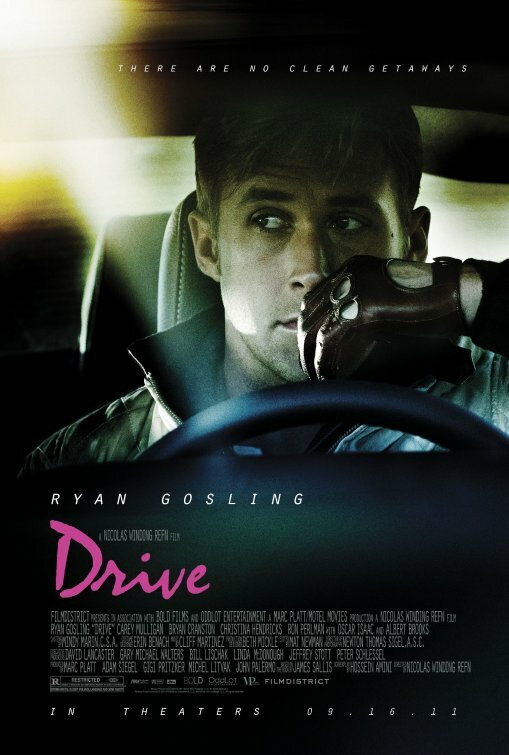 Gosling is outstanding, Drive is an essential neo-noir crime film, highly recommend. An ex-Los Angeles detective turned PI seeks out the ruthless gang that stole his dog. 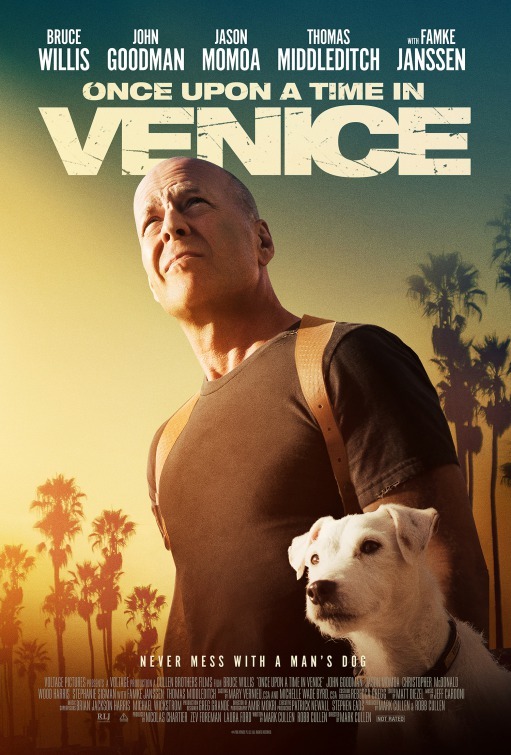 Director, writer Mark Cullen’s entertaining beach bum action caper which sees Bruce Willis as Steve Ford return to centre stage instead of small cameos. Thankfully Willis isn’t just there to just pick up a pay cheque, its very much his own film, and he’s as cheeky and charming as ever. The on location feel captures the heat of Venice Beach and Cullen offers plenty of colourful locale visuals. The characters are all quirky and larger than life including humorous Jason Momoa as mumbling gangster Spider and Steve’s heartfelt troubled friend Dave (excellent John Goodman). Things get more and more outlandish as Steve tries to solve a number of weird cases. Sadly, Famke Janssen is wasted as Katey Ford. With echoes of the recent The Nice Guys (2016) there’s a few shoot outs and double crosses with hints of watered down Tarantino thrown in for good measure, Cullen like the moments of comedy set these up with perfect timing thanks to some effective staging and Matt Deizel fine editing. Overall, while not Willis’ best it’s an almost return to likes of Last Boy Scout form rather than Die Hard, still it’s good fun and worth a viewing. Autobots and Decepticons are still at war and the key to saving our future lies buried in the hidden history of Transformers on Earth. 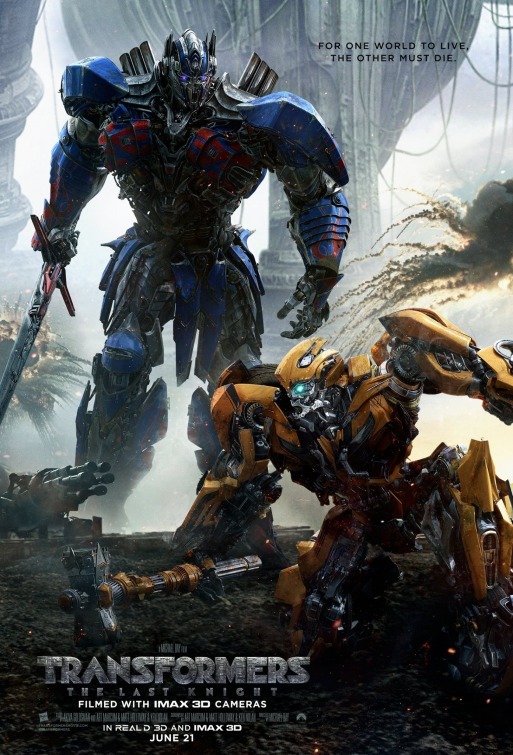 The expensive state-of-the-art special effects and Mark Wahlberg is mostly what keeps the fifth installment of the franchise watchable, aside for the nods to the original series (ship crashed on a hill, Frank Welker’s voice, the episode “A Decepticon Raider in King Arthur’s Court” to name a few) very little remains what many of the 1984 viewers fell in love with. Director Michael Bay’s staple eye candy and stereotype battle of the sexes aside, although some human characters return including Josh Duhamel, Nicola Peltz (voice cameo), John Turturro and an unrecognisable Stanley Tucci as Merlin, not even Anthony Hopkins can raise this above mediocre. The Last Knight is packed with pointless expletives, the usual flash editing, big fights, eye rolling comedy and a compulsory loud soundtrack to accompany the on screen shenanigans. The tone is inconsistent as it goes from one setup and continent to the next. It’s crowded with new characters and set pieces including underwater submarine chases, medieval battles, D-Day WWII like battles to outlandish colliding planets with jets, three headed dragon Transformers, swords, a staff and a butler – everything is thrown in. There’s a niggling feeling that the Transformers franchise needs to go back to some design basics and charm of the original series even with harking back to the knights of King Arthur in the plot. Yes, sadly some classic G1 Transformers are missing or not resurrected and new robots are thrown in just to sell more toys. However, where there is an improvement, is that here we have more interaction and characterisation from Transformers robots themselves. Entertaining at times, watchable, slick leave your brain at the door robot action film, but unnecessarily messy and desperately needs to go back to the source material. Diana leaves her paradise Island magically hidden from the rest of the world to fight alongside men in a war to end all wars. Directed by Patty Jenkins, Wonder Woman is a pleasing film in a sea of other superhero flicks. What it gets right is a good mix of action and narrative helped by the back drop of The Great War/World War I. While arguably it lags in the final act, mainly due to the seeming obligatory big boss final battle showdown it for the most part swiftly moves along. Part new origin story on the island of Themyscira, home to the Amazons, you see the character honing her powers and becoming Wonder Woman. Later when she helps a spy (Chris Pine) and they journey to Europe circa 1913, she’s finds that she is a fish out of water in her new surroundings in searching for the God of War. Allan Heinberg’s screenplay has a few twists and plays with the sexiest elements of the period. Nevertheless, it slightly sells itself out at times with all the tropes of a love story with at times Gal Gadot’s Wonder Woman playing second fiddle to Pine’s American spy pilot. Thankfully these are few and far between, but it’s still an unnecessary dynamic. There’s a top cast full of familiar faces including David Thewlis, Connie Nielsen and Robin Wright with the sets and costumes being Oscar worthy. This incarnation supersedes Wonder Woman 1967’s pilot, Lynda Carter’s TV pop icon version complete with memorable theme and Adrianne Palicki’s failed pilot. Gadot may not be everyone’s idea of what Diana Prince/Wonder Woman should look like, however, she is great in the role carrying the naive innocence having been on a hidden island almost all of her life with the power and presence that we saw glimpses of in Batman v Superman: Dawn of Justice (2016). There’s also some present day scenes that fit nicely with Zack Snyder’s outing and Justice League (2017). 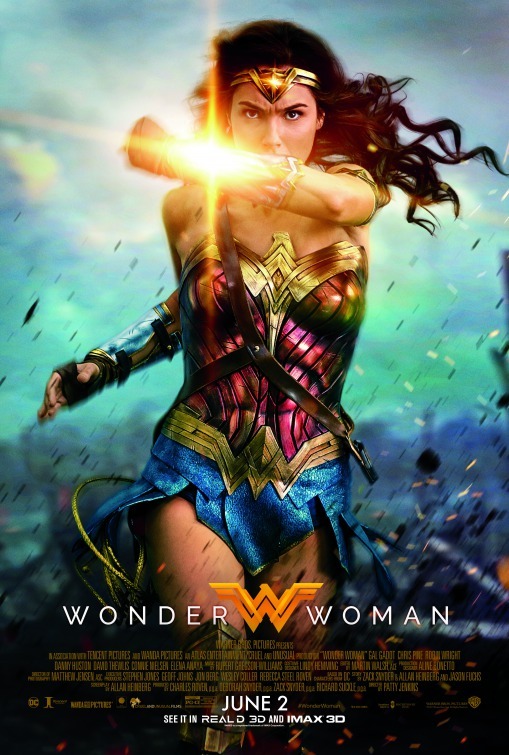 With plenty fight scenes the new Hans Zimmer & Junkie XL Wonder Woman theme kicks in fittingly and Rupert Gregson-Williams’ score captures the atmosphere of the respective settings. Overall, Wonder Woman is probably one of the most rounded entertaining super hero movies out there with its war themes ironically just as relevant today. 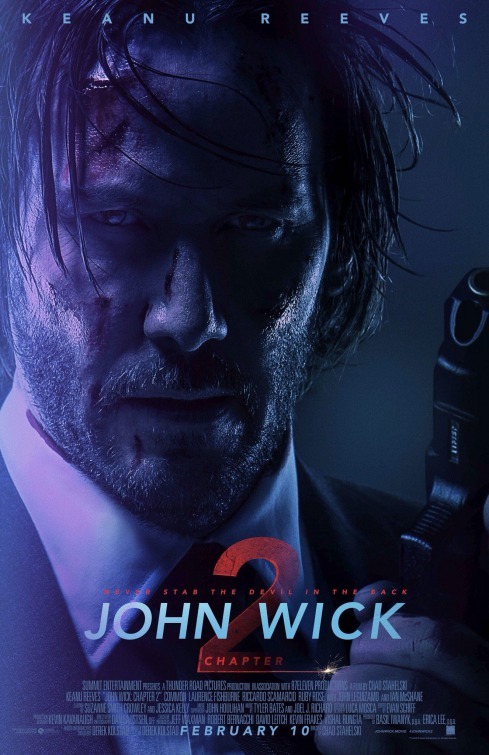 After returning to the criminal underworld to repay a debt, double crossed John Wick discovers that a large bounty has been put on his head and must fight for survival. Director Chad Stahelski’s John Wick 2 is everything a sequel should be, it doesn’t try to reinvent the wheel. It’s a near perfect high octane sequel, same lead cast – check, great action – check, more visual style and pulse pounding music – check. While the amount of close combat shootings does get tiresome there’s enough story building by writer Derek Kolstad who expands the hit man’s world and rules to entertain. However, neither Kolstad or Stahelski bog the pace down with unnecessary exposition. Stahelski’s second outing is gorier with a significantly higher body count and even though the fight scenes may not be a slick as it predecessor, it does what it says on the tin. Stahelski’s offering benefits from a filmed on location feel which grounds the outlandish action, this is rounded off by a fitting soundtrack and score as Keanu Reeves’ Wick battles his way through New York and Rome. Well executed, pure action entertainment all the way, recommend.